Every time someone “Likes” IMI’s Facebook page, we donate $1 to St. Christopher’s Truckers Relief Fund. It’s our way of going that extra mile, and in this season of giving thanks it means even more to be able to give to such a valuable, lifesaving and life-changing organization. Founded in 2007, the Truckers Relief Fund helps truckers and their families in their times of greatest need. 88% of drivers have risk factors for chronic conditions such as obesity, diabetes and cardiovascular disease. Beyond these health concerns is the ever-present risk of injury from serious accidents on the road. Many truckers have little or no health insurance, and the sudden medical bills that can arise from these and other unfortunate situations can be devastating to the driver and his family. St. Christopher’s Fund is there to help cover the family’s expenses in those times when it is needed most. You can help us support this important and worthy cause in two ways. If you haven’t done so already, please visit IMI’s Facebook Page and click the “Like” button. For every new “Like” we receive, we’ll donate $1 to the Relief Fund. Then, please spread the word by sharing this blog post with your friends and ask them to “Like” IMI’s Facebook page as well. You’ll be able to stay up to date with the goings on here at IMI, and you’ll be making a huge difference in someone’s world. 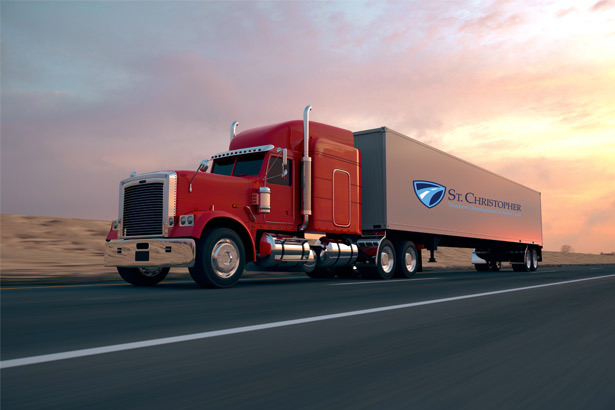 Learn more about St. Christopher’s Truckers Development and Relief Fund by visiting their website. Like our Facebook page, spread the world, and help us help others!